Rapid changes in your child’s jaw structure and certain genetic factors might cause their lower teeth to protrude out of their ideal alignment with their upper teeth. Left unaddressed, an underbite can hamper their self-image and potentially lead to one or more chipped teeth. This condition, which is also known as malocclusion can often be minimized or corrected by one of our skilled orthodontists, Dr. Sellke & Reily. After assessing the severity and other factors associated with their underbite they might recommend installing traditional braces in their mouth. Once the metal brackets, wires and other components have been secured in place, your child will need to return to see our dentist for routine adjustments. Each of these appointments will gradually tighten the braces components to stretch the periodontal connective tissues that bind their teeth to their gums. 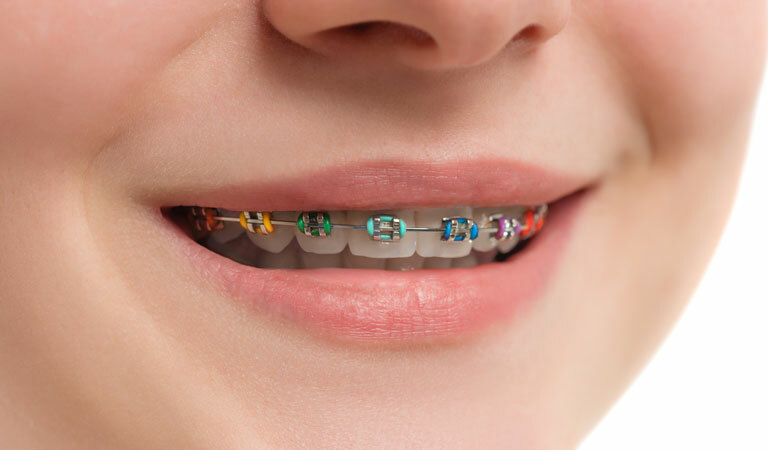 Once the process is complete the orthodontic hardware can be removed, and your child will need to use a retainer to help ensure your teeth remain in their new position. In some of these cases a removable Hawley retainer is used to hold the upper teeth and a fixed retainer will be cemented behind the lower teeth. What Type of Orthodontic Retainer Will You Be Wearing? Brace Yourself, the Holidays are Coming! Do you REALLY want to Order Your Orthodontics Online? Seventh Birthday Approaching? Time For a Visit to the Orthodontist! Invisalign or Braces: Which is Better? Is Invisalign® in Your Future? How Can I Keep My Retainer in Pristine Condition?